In June 2016 we were asked by HeadStart Kent to develop a creative product that would spread the key messages of their project from the last two years. We asked our wonderful Art31 group to come up with a concept and turn it into a product that could be shared. The group decided that they wanted to write a song to capture the key messages and then get this animated into a short film. The young people We then contacted A&C Studio’s to see if they could help. The young people had the ideas for the main characters Bounce Back Barry and Deflated Dale and A&C worked their animation magic to bring it all together. We want more children and young people to know that they’re not alone in whatever challenge they are facing. Do we talk about how we’re feeling enough? Do we teach children and young people to express how they are feeling articulately? Do people get enough information about resilience, wellbeing and support? What else could we do to spread the message of resilience and wellbeing? 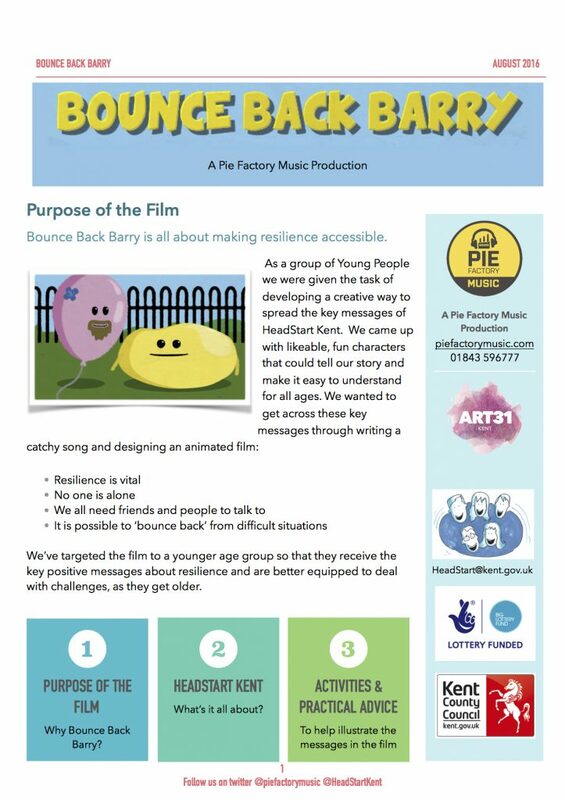 A huge thanks to A&C Studios, HeadStart Kent, all of the young people and staff who worked hard to bring Bounce Back Barry to life. We love him! This recipe book was created by young people as part of the Money For Life Project in 2015. The aim of the project was to develop a recipe book which provided a family of four 7 main meals for under £5 per meal. Through this project the Young People developed a range of skills around money management and budgeting. Please feel free to download it and enjoy the recipes. In 2013 -14 we were part of a national research project in partnership with The National Children’s Bureau and Creativity, Culture & Education looking at whether participating in the arts has a positive effect on the resilience of Looked After Children. 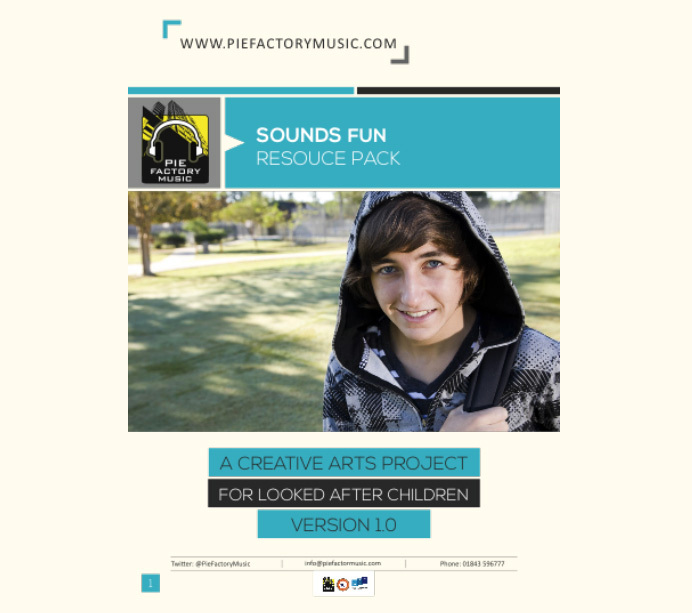 As a result of this project we produced a resource pack for the benefit of other organisations, project managers and foster carers who may be considering taking part in a similar project. Please contact us if you would like a copy of this resource .